Are you looking for a new s’mores recipe? You have come to the right place. Nothing says summer like s’mores by the campfire. I am perfectly content with the old stand by of the graham cracker, a melted marshmallow and chocolate bar, all placed together just right while attempting to figure out how to eat it without making a mess. Impossible, I know. 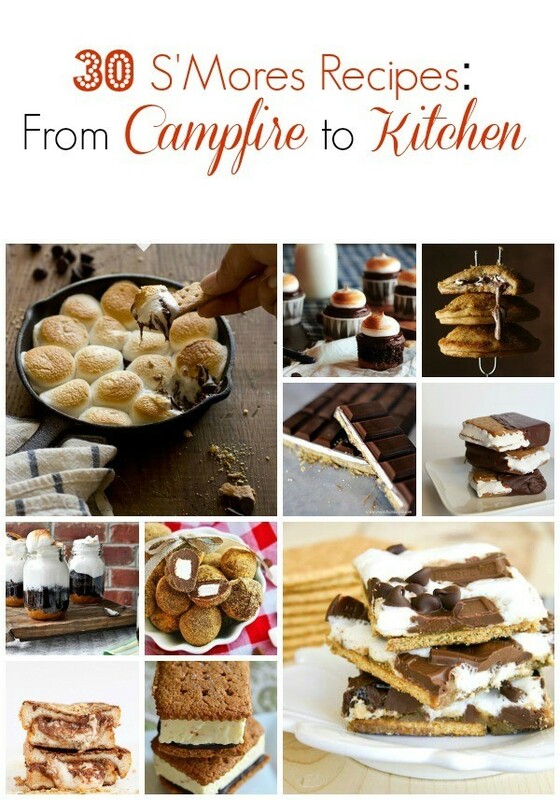 But if you’re up for some experimentation and something a little different to mix things up, you will love this list of 30 different s’mores recipes. Some are made by the campfire and some are made in your kitchen. It’s up to you what you choose. Enjoy, have fun and indulge!